Did you know that beyond incredible tasty food and custom menus Two Chicks and A Pot catering offers awesome add on items to enhance your catered event? 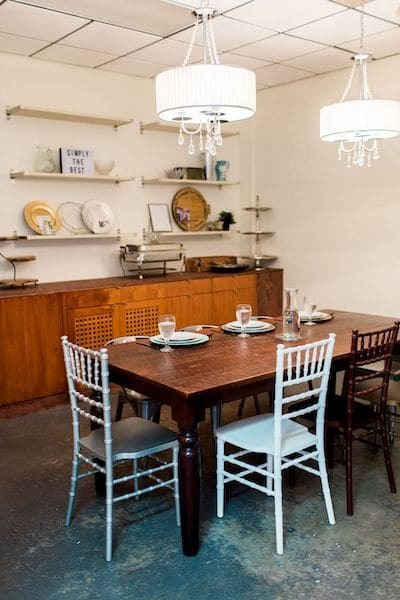 Full-service catering includes way more than just fabulous food. Whether you are enhancing a corporate breakfast or offering fresh brewed tea and coffee to accompany your wedding cake or dessert, it’s the perfect addition to any meal. 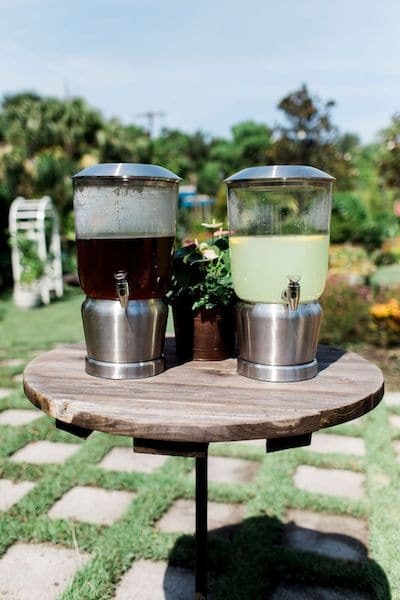 Delicious and refreshing, iced tea and lemonade stations can be added on to a luncheon event, as a welcome addition as guests arrive at your wedding ceremony or as a simple non-alcoholic addition to a day or evening event. Lemonade, Raspberry Lemonade, Strawberry Lemonade, Sweet Tea, or Unsweetened Tea are our standard fare but our catering specialists have refreshing options you can showcase as a signature drink. Our Two Chicks and A Pot showroom has a full display of chargers and other optional décor upgrades; be sure to check them out when you come in for your tasting or planning meeting. Chargers are an affordable way to dress up your reception table. It can add a pop of color or just add a little touch of elegance when layered with China and a cloth napkin. 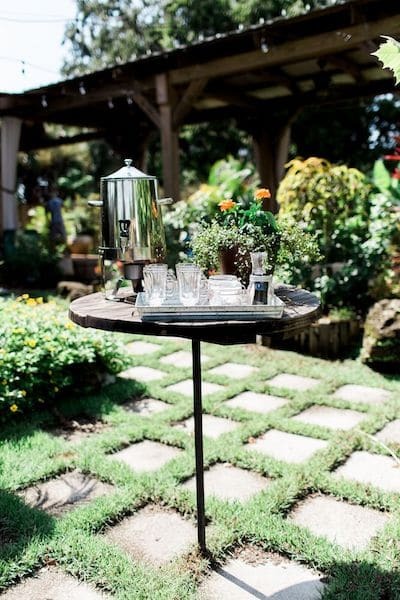 Our Two Chicks and A Pot Bartending Services not only include drink service but also set-up and breakdown of the bar station, wine glasses and wine buckets beverage dispensers. 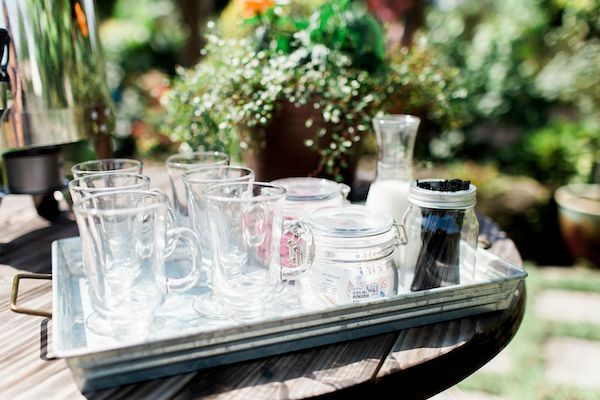 But, you can also choose to add on additional glassware like pint glasses or rocks glasses. Our Two Chicks and A Pot catering team has plenty of wonderful options to add on to your catered event. A few simple, affordable additions can take it your event from simple and delicious to amazing! Contact our catering event specialist today to discuss your upcoming wedding or event and how to make it something your guests are sure to remember.